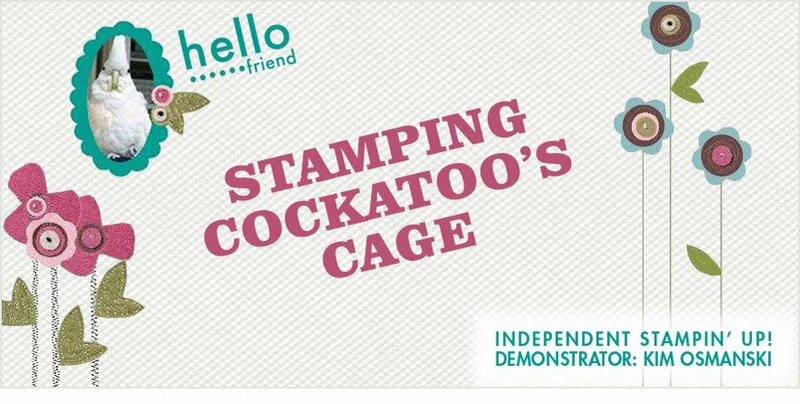 Stamping Cockatoo's Cage: End Of Summer! Visit me at the "Fiber Nest"
It's been a few months since I've posted anything. Guess I've been busy with work and stamping. I sent a box of 275 cards last week to "From Our Hearts" organization. I had some help from fellow workers with Christmas Cards. What a great organization this is! If anyone has any card fronts they are not using contact this group and they will make them into beautiful cards and send them over seas. Martie Shea is the organizer of this group. She boxes all the cards she gets from all over the country and sends them off to our soldiers fighting in Iraq and Afghanistan, so they will have cards to write in and send home to family and friends. If you'd like to know more click on the button at the right. "From Our Hearts". It is truly a beautiful mission. I also took a box of 60 cards to the Ronald McDonald House in Indianapolis. They were thrilled! These cards are for the parents of the sick children down at Riley Childrens' Hospital. They then are able to send cards to family and friends while they are staying at the House. Another Great Organization and one that Stampin' Up! works closely with. Check it out on the demonstrator website. So what have I been doing besides making cards? Well I've watched my grandson grow by leaps and bounds this past summer. He'll be two in October, he's trying to grow up and I know he will be a "BIG" help when his baby sister gets here in December! He's been practicing on his stuffed bear. Mommy watch out! Then we went wedding shopping for my oldest daughter's wedding dress. She found the perfect dress in less than two hours and in only 1 trip! She is going to be a Beautiful Bride!!! Now we are looking at invitation designs and everything else involved in getting ready for June 18, 2011.
some of the things I've made in the past few weeks. These above are little 2 x 2 Thank You cards I put in my boxes of retired stamp sets when I sell them. This is a very good way to use up those small scraps that are really hard to throw away. Just add those little scrap pieces onto your cards, a scrap of ribbon and a small stamp and you're ready to go. They also make nice little gift tags for bags and packages. These are a couple of the new colors and designer papers. #1 I have used Pear Pizzazz card stock & ink, Daffodil Delight card stock & ink, Greenhouse Gala DSP and Daffodil Delight 1/8" Taffeta Ribbon. #2 Concord Crush card stock, Daffodil Delight Card stock and ink, Concord Crush DSP, And again I used Daffodil Delight 1/8' Taffeta Ribbon. #3 Baja Breeze card stock & ink, Greenhouse Gala DSP, Very Vanilla 1/8" Taffeta Ribbon and I used the stamp set "Friends Never Fade" Beautiful new set! If you're looking for any used sets check out my Ebay Site. "Stamping*Cockatoo"
Here is a card I made for my Great Nieces 1st Birthday. I used Pink Pirouette card stock and ink, Pretty in Pink card stock. Melon Mambo ink, Retired Stampin' Up! Ribbon (Pink Pirouette), the stamp set is from the Spring Mini. Here are 3 cards I made recently with some of the new stamp sets and papers. #1 is a birthday card using Early Espresso, Sahara Sand and Very Vanilla card stock. I used Sahara Sand, River Rock and Daffodil Delight inks, Designer Paper Newsprint (I love it! 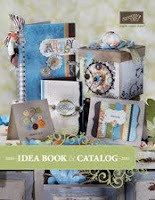 ), Early Espresso 1/8" Taffeta Ribbon, and the Stamp Set is Artistic Etchings. #2 is Marina Mist, Daffodil Delight and Very Vanilla card stock. Greenhouse Gala Designer paper, Marina Mist, Chocolate Chip Ink, Marina Mist 1/8" Taffeta Ribbon. The stamp set is "Aviary". #3 Again I used Marina Mist, Pear Pizzazz, Pumpkin Pie Card stock, Marina Mist, Pear Pizzazz, Pumpkin Pie Markers, Greenhouse Gala Designer Paper, and the Marina Mist Taffeta Ribbon. The Stamp Sets used were "Friends Never Fade" and "Pendant Park". Thanks for stopping by and have a Beautiful Week! You are one busy gal! I loved the cards, especially the one for Miss Anna!